Two years ago Thanksgiving was on November 22 - and Annie arrived on that day! 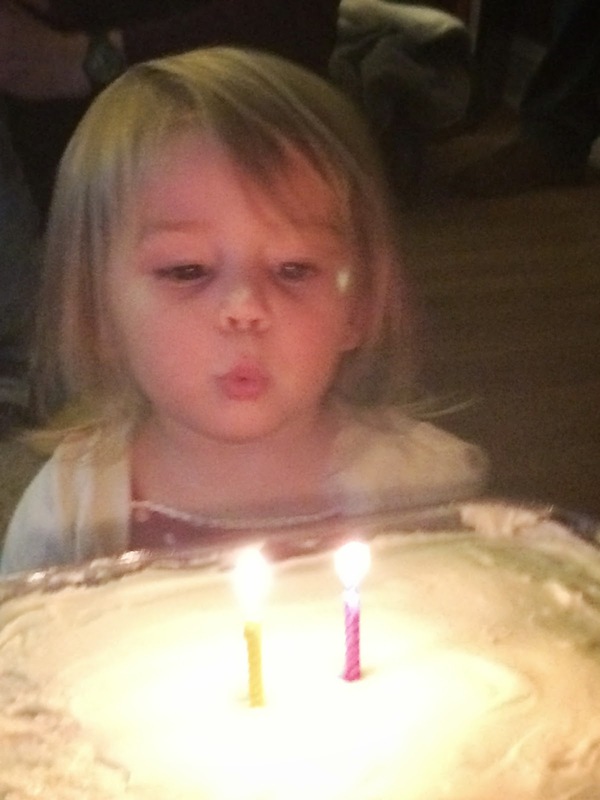 Here she is blowing out two candles on her birthday cake! I love this picture - a precious moment in the life of a precious little girl. I will add new pictures of the three little cutie pies on my sideboard! I am feeling lost today - my beloved Bernina will not turn on!!! OMG - she is 26 and a half years old and seems like a part of me. I will get her up to Bay City after Thanksgiving and have them see what is ailing her. She also needs a good servicing. What a wonderful machine she has been--very few problems over all those years and I have sewn zillions of stitches. Hopefully, she can be revived. If not, I am not sure what I will do. Don't think I would want to spend as much as I am sure Berninas cost nowadays. One of my friends who does beautiful quilting has a Pfaff and she loves it. I think they are a little more reasonable in price. Goodness only knows, a machine would not have to last me 26 years now at this stage in my life!!!! In the meantime, I am using the Huskvarna (sp) that I bought used probably 8 or 9 years ago for the basement and have not used very much. It's no Bernina, but it is a good machine. I had Sherry bring it upstairs and I have been playing with it. I never liked the foot pedal, but think I have that figured out now. Will go down to Material Mart and see if they have a darning foot and some bobbins to go with this one. Maybe it will be a nice surprise! I will give quilting with it a try. 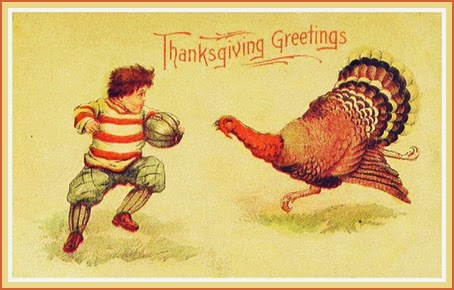 Will go out and shop for some Thanksgiving groceries tomorrow. Sherry and Barclay will come over here and we will have a feast with plenty for leftovers. Barclay is going to bake a cake!! He has been baking cookies and is expanding his talents. How cool is that? I think it will be a yellow cake with chocolate frosting. I will do a pumpkin pie so that will give the three of us plenty of dessert! All the girls will be together in Denver! I am sure we will do some facetime with them! Then about a week after Thanksgiving is over, Norah and family will come to Midland for an early Christmas. Can't wait!